With its geographical position in the central part of the Western Balkans Region of Europe Serbia has from ancient to modern times been a bridge between the West and the East. 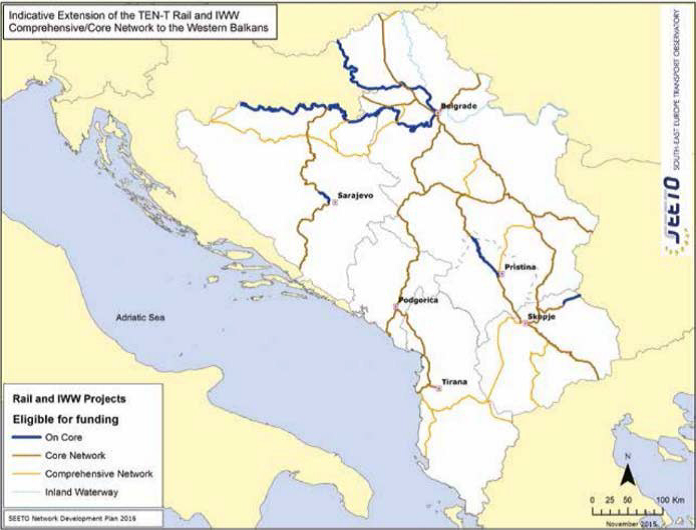 The shortest and the most comfortable continental route between Europe and Asia, running in considerable length through the present territory of the Republic of Serbia, with the not less considerable portion of the most transport efficient part of the navigable International Inner Waterway of the Danube River define the strategic importance of Serbia in the European and World transport network. 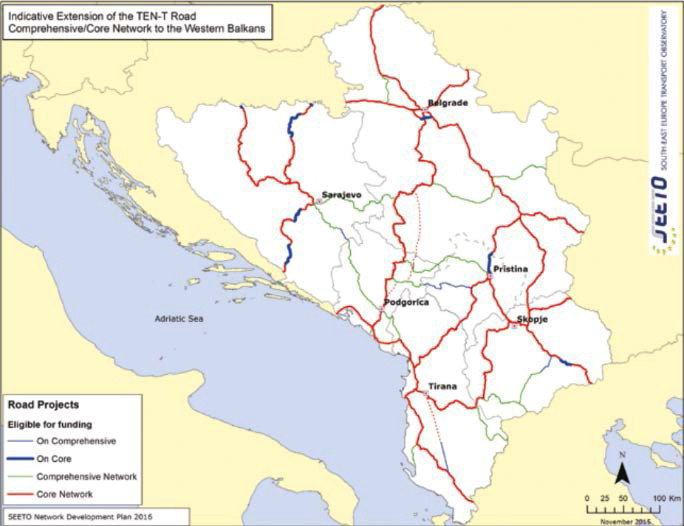 Avoiding the confusion of official names of the Trans European Network, (TEN-T) based on the fact that the name of the Core Network Corridor is applied only to routes running through present member countries, Corridor VII (the Danube as a waterway) and Corridor X (road- railway) make up the basis of the transport system in the Republic of Serbia. 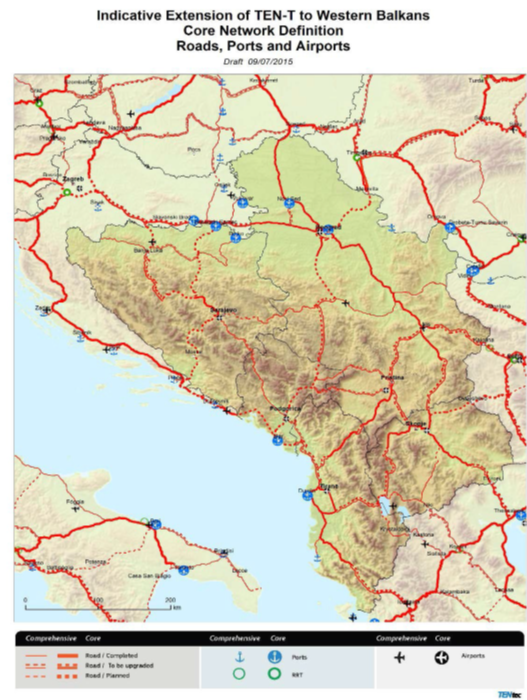 In addition to these corridors, also of great importance is the road and part of the Route 4 Belgrade – South Adriatic E- 763 and/or E-79 railway line. 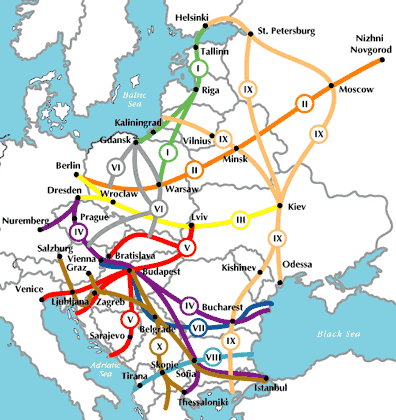 The Republic of Serbia is surrounded by other Pan-European corridors and their branches (Corridor IV: Dresden/Nurnberg – Prague – Vienna – Bratislava – Györ – Budapest – Arad – Bucharest – Constanta/Craiova – Sofia – Thessaloniki/Plovdiv – Istanbul; Corridor Vc: Budapest- Osijek – Sarajevo-Ploče and Corridor VIII: Durres – Tirana – Skopje – Bitola – Sofia – Dimitrovgrad- Burgas – Varna). Parts of these Corridors which are still in construction will become parts of the TEN-T network to be fully established by the year 2030. In the process of accession to EU, Serbia cooperating with the EU regional cooperation organization SEETO, or South East Europe Transport Observatory network to improve and harmonies regional transport policies and technical standards for the Indicative Extension of TEN- T Comprehensive Network to the Western Balkans development, to maintain an effective coordination and communication network; and integrate the Indicative Extension of TEN-T Comprehensive Network to the Western Balkans in the framework of the wider Trans European Network. Accordingly, the whole Western Balkans Transport network has been divided into two categories Comprehensive (of regional importance), Core(of European importance). Serbia has quite dense network (both core and comprehensive) in SEETO multimodal network. In accordance with the established priorities Projects have been defined and financed. In the period up to the year 2020 the Republic of Serbia is planning to additionally invest close to 4,8 billion EUR into transport infrastructure projects with the ratio 3:1 in favor of investments to railway projects.